We were so fortunate to have teammates who were born and raised in Montreal to have planned the itinerary for our trip – we were really able to get a true feel of the city from a local! And of course, going to Montreal meant we had to eat POUTINE! Those of you who don’t know what poutine is, its a distinct Quebecois dish that is composed of french fries topped with cheese curds and gravy – heaven! 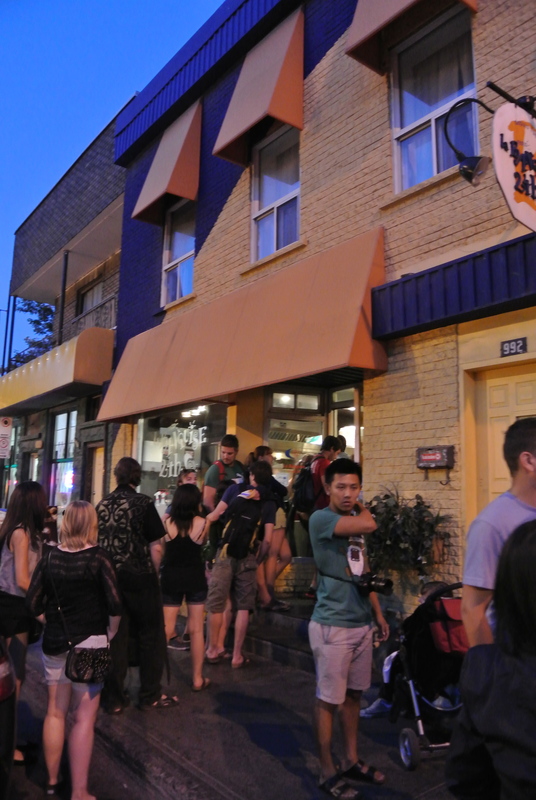 And where do you go for poutine in Montreal, well its “La Banquise“! The restaurant is open 24 hours and is deceivingly big with a large patio out back. 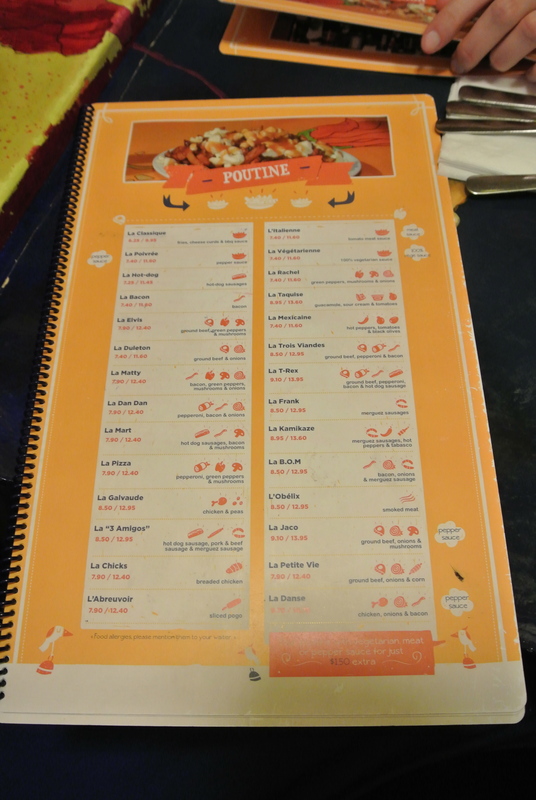 The menu, all poutine, with many different variations. Which one did I get? 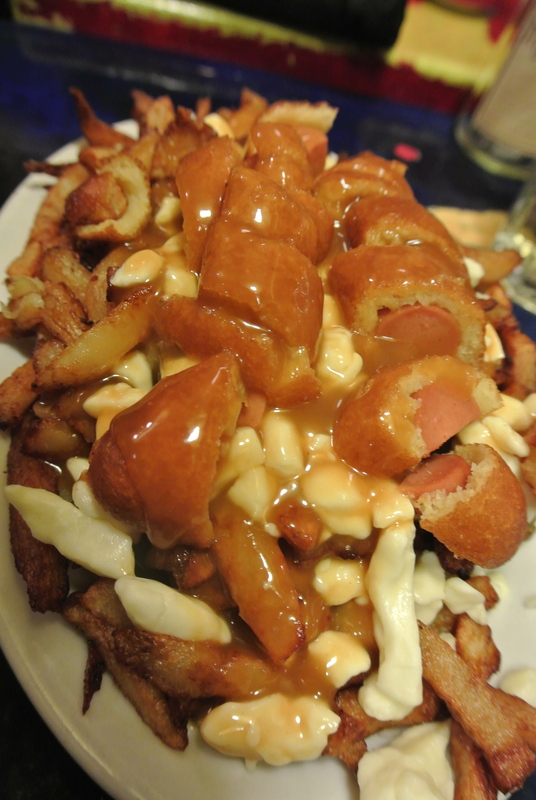 Well the poutine called “Abreuvoir” – traditional poutine topped with a POGO! Yes, a Pogo, and if any of you have been to a carnival you’ll know what a Pogo is, a deep fried cornmeal battered hot dog. It was delicious! This alone was well worth the trip! La Banquise menu – they have 28 different poutines! Abreuvoir poutine – traditional poutine topped with a Pogo! 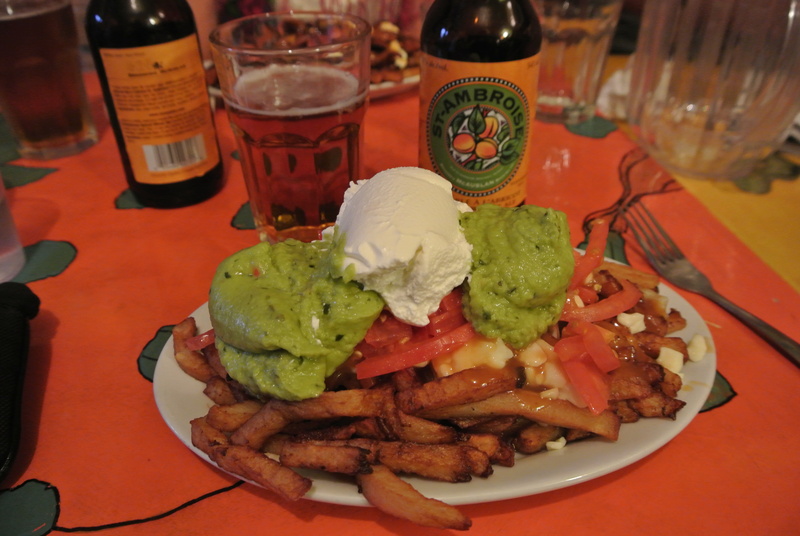 La Taquise poutine – traditional poutine topped with guacamole, sour cream and tomatoes. 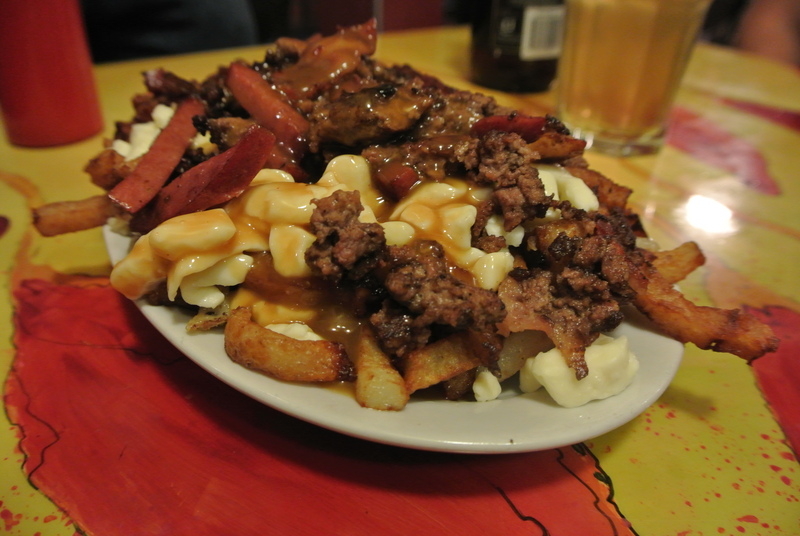 La T-Rex – traditional poutine topped with ground beef, bacon, hot dog and pepperoni. 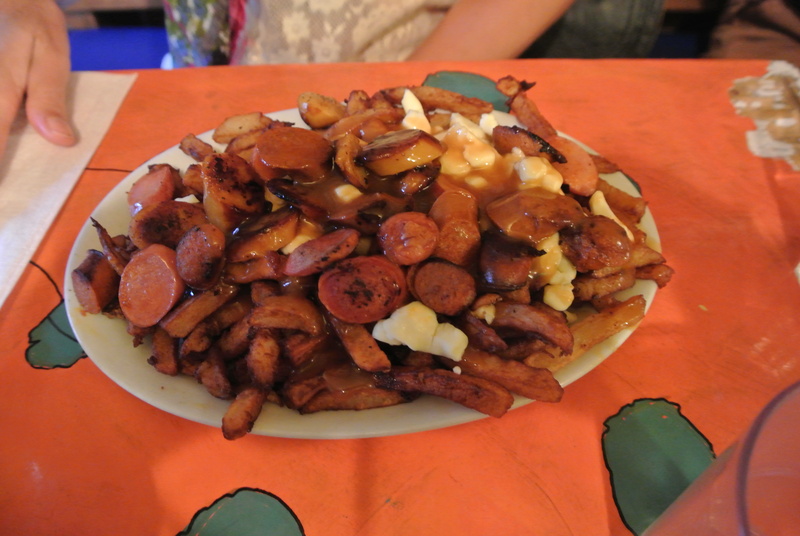 La “3 Amigos” – traditional poutine topped with hot dog, pork/beef sausage and merguez sausage. La Banquise – the line-up was non-stop and out the door during our entire dinner, a definite sign of good food!